This is a beautiful Mango tree. At this time of the year there is no fruit. Mangos were in season in November and December. 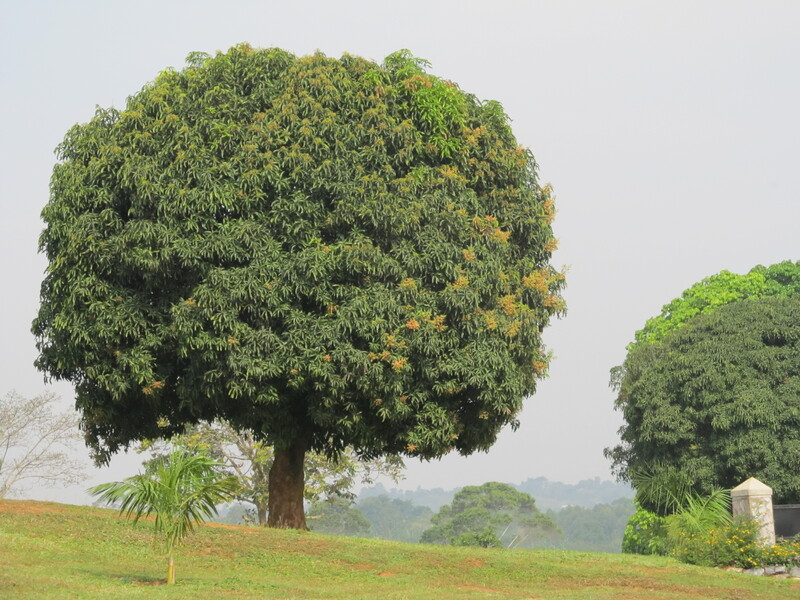 BUT the tree has the mango fly which loves to lay eggs in wet or damp clothes. So, once clothes are washed and hung out to dry (there are no driers in this part of Uganda) the mango fly lays its eggs. When the clothes are completely dry then the eggs die. The rule is wait at least 24 hours after the clothes are dry before wearing them. Sometimes a seam or hem is not completely dry…just slight damp and therefore the eggs or larvae are not dead. When this damp seam or hem touches the warm skin the eggs hatch and migrate into the skin. As a result, I may have a small pocket of hatched larvae under my skin which need to be removed. Not a pleasant situation. Water is another thing that we often take for granted. Bottled water is available in Masaka and in other large cities but it is not available in Kibaale. It cost about $2 US for 5 litres. It is not the cost the matters but the weight and transportation. I have three options. I can transport all my water for drinking, washing vegetables and fruits as well as for cooking from Masaka. Or in Kibaale, I can boil the water for three minutes, filter it with a candle filtration system once cool and then store it. I have chosen to do both for now. It is going to take me at least 3 to 5 hours to make 5 litres of drinkable water in Kibaale once I move there in the next day or two. On Monday, I was in Kibaale for a few hours and had 4 visitors. It is part of the culture that you offer all visitors a glass of water. It was a good thing that I had brought with me 5 litres of water. After my 4 visitors had left and I had something to drink my 5 litres was half gone. This gives you just a little idea of what it takes to keep healthy here……. never mind the mosquitoes with malaria.